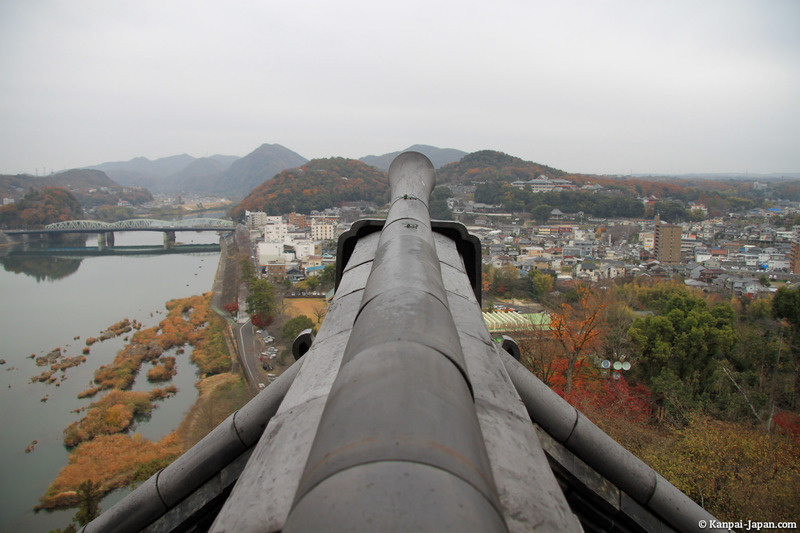 There are only twelve original castles left in Japan and Inuyama's, erected in 1537 by Oda Yojiro Nobuyasu, is a part of them. 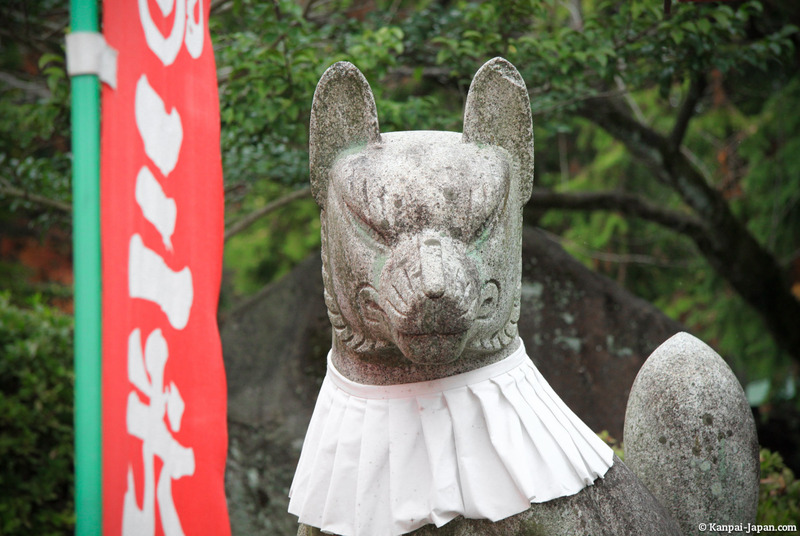 The name of this charming town, located in Aichi Prefecture, literally means "mountain dog" and the mascot of the city, a small dog with a kawaii samurai helmet, is called WanMaru-kun (wan is the Japanese onomatopoeia for the barking). 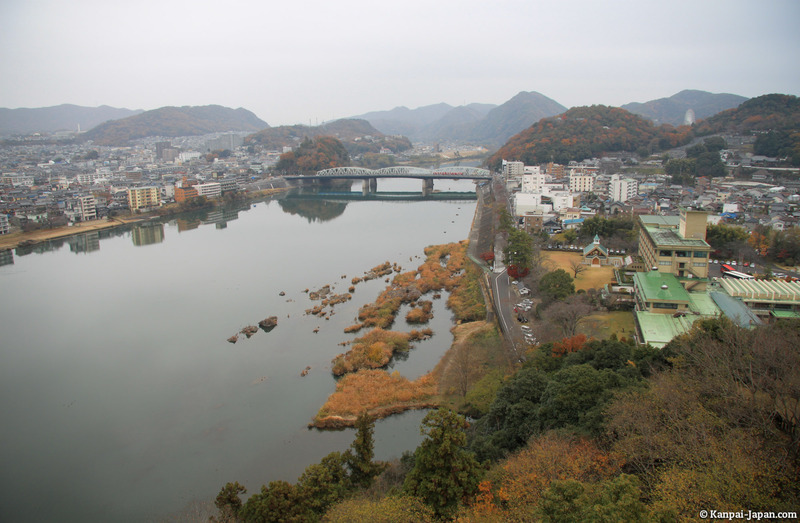 Half an hour by train from Nagoya, Inuyama is the ideal output of half a day of visit, even from Kyoto or Osaka. 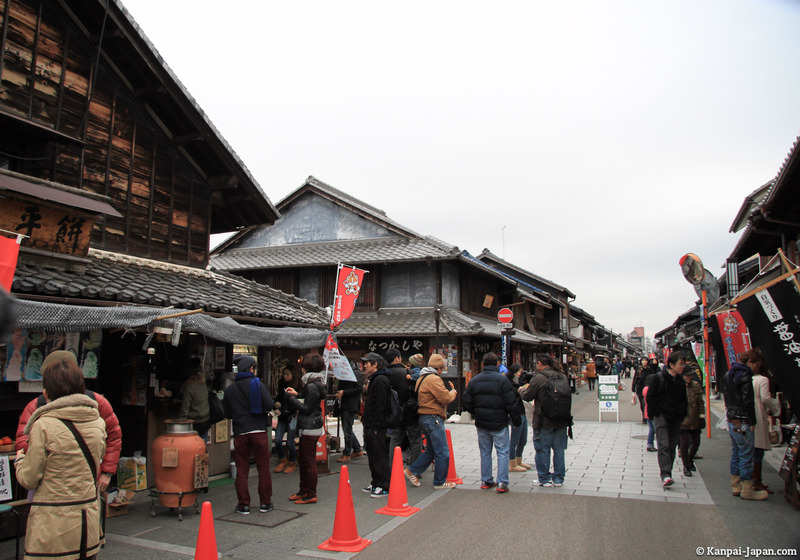 Arriving at the Inuyama station, walk for a few minutes to reach a shopping street announcing the castle nearby. 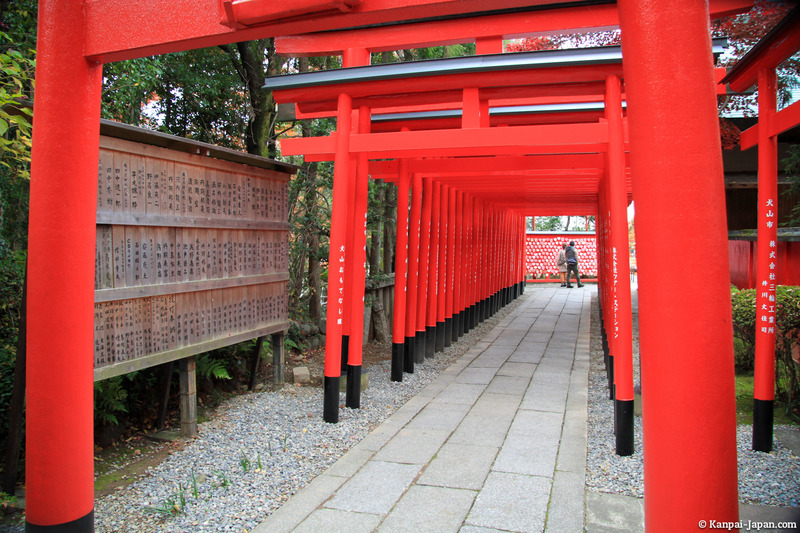 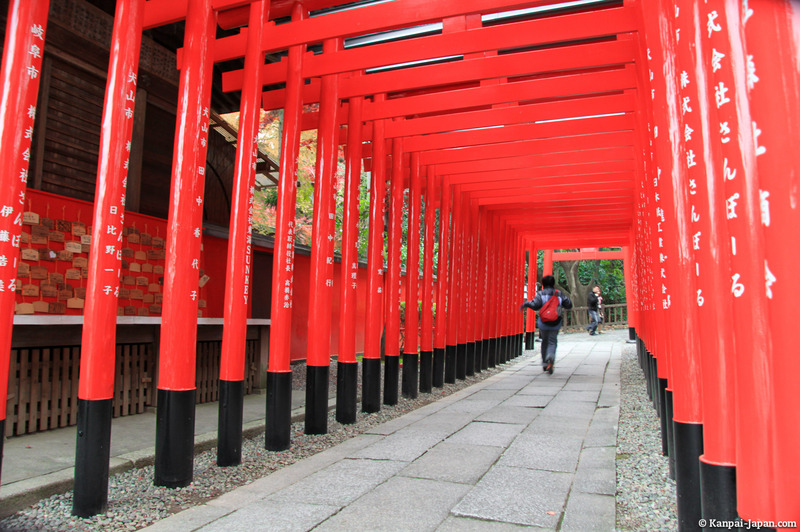 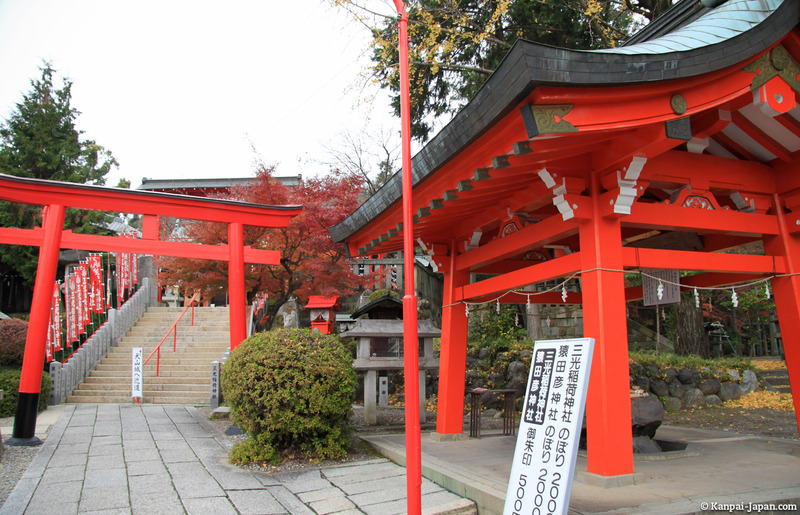 Even if it's raised on the mountain, it's quite small enough and not that visible from the outside, so there's an opportunity to enjoy a Shinto shrine to get there. 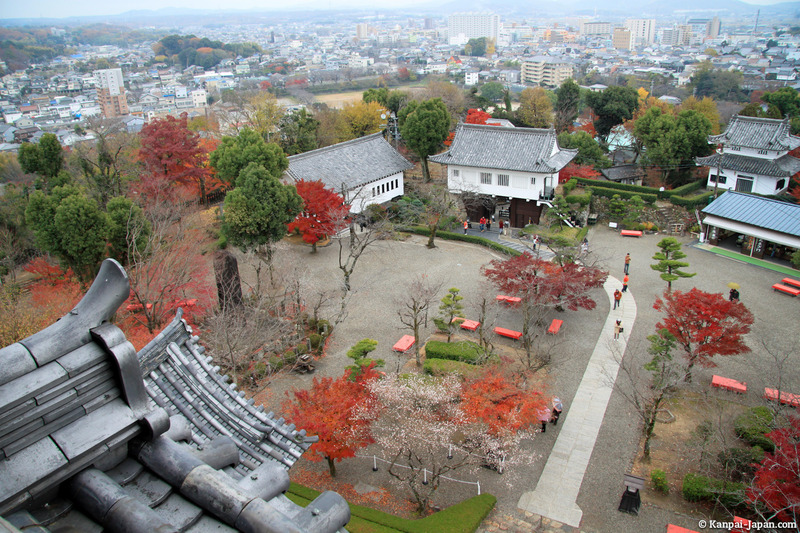 Upon entering the castle, you'll arrive in a very charming courtyard punctuated by momiji and sakura (depending on the season). 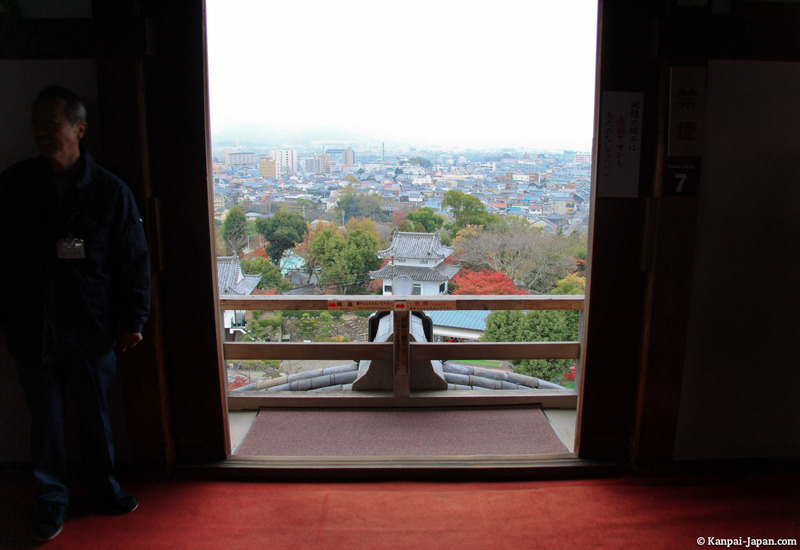 To get inside the castle, you'll have to remove your shoes because, as in Himeji, original wooden floors of this national treasure should be preserved. 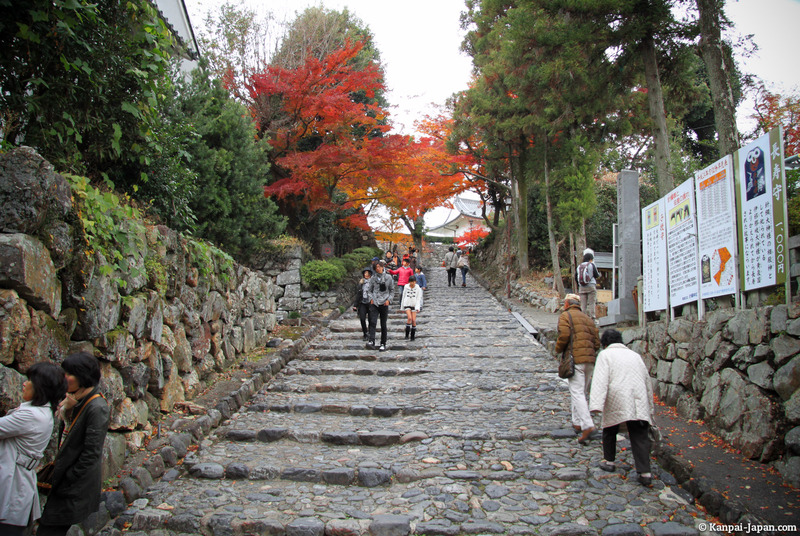 Be careful because the floor may be slippery (and cold in winter) and the stairs are very steep. 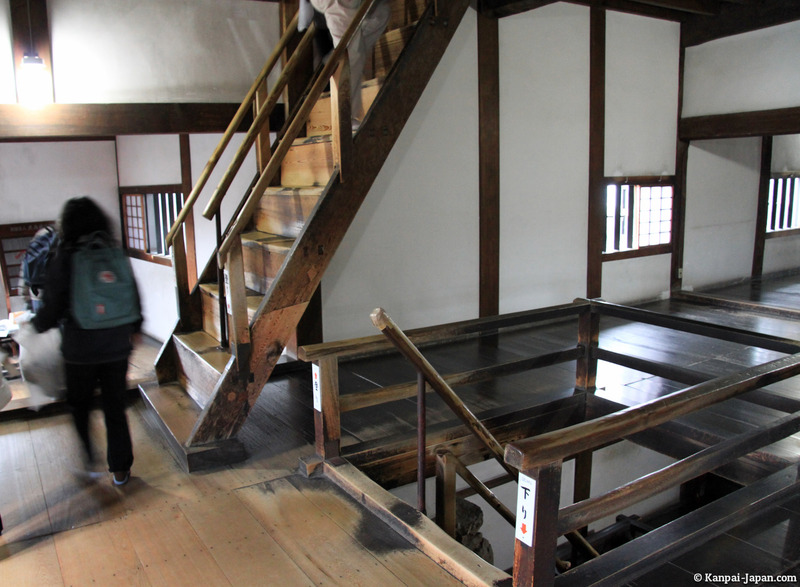 As you climb up the stairs, the space narrows (from 282m² on the ground floor to a mere 50m² at the top). 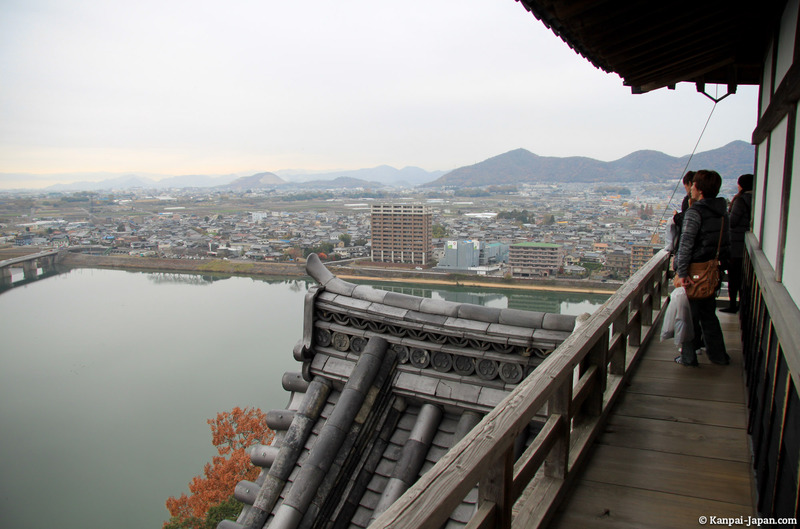 From the fourth and top floor of Inuyama castle, you can enjoy a stunning 360 degree view over the city and the nearby Kiso River flowing through the north. 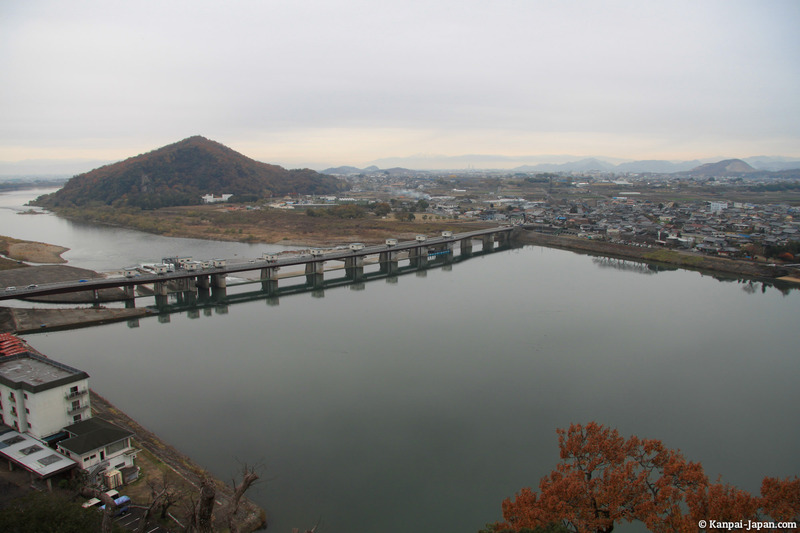 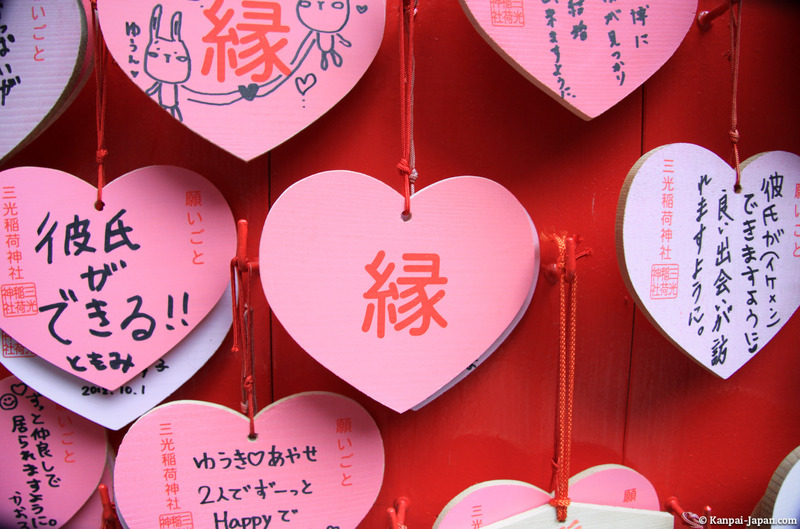 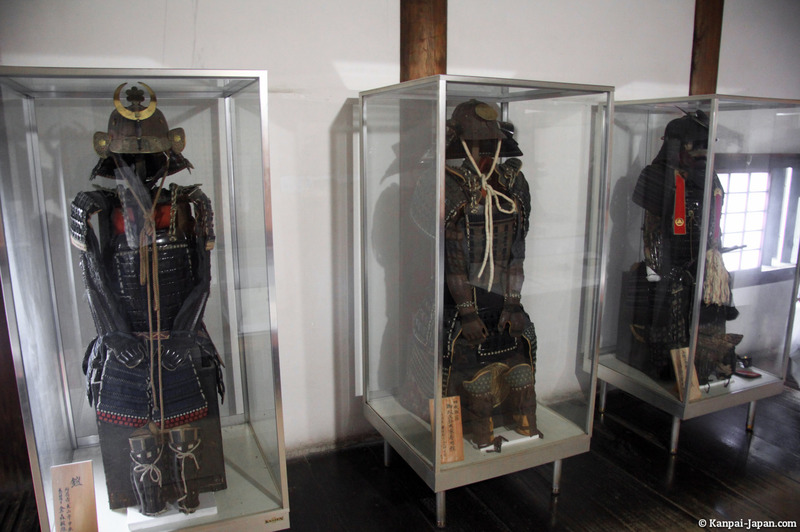 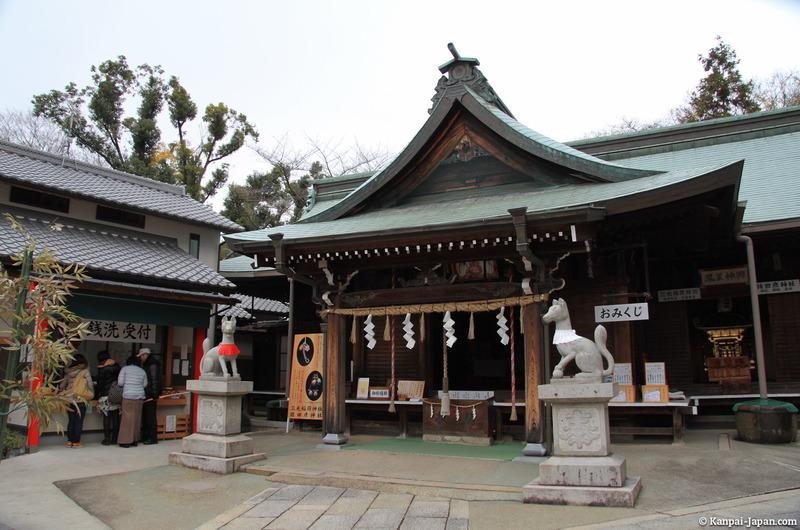 If you want to continue your visit in Inuyama, you can head to the south-east from the city center to go to Meiji Mura, a history amusement park (as there are dozens in Japan) dedicated to the famous Meiji era.